Hi. Remember me? Stephen. The blogger who hasn’t blogged recently? Yeah, me. Now you remember. Sorry I disappeared for a while. Blame the craziness of everyday life, depressing cold weather, juggling multiple jobs, and laziness for keeping me away. But I’m back now and have some fun recipes to share with you…if you’ll let me! I think I’ll start out with something small. How about a zesty snack mix that’s perfect for parties or days on the couch? Sounds pretty great to me. This particular recipe helped get me through the horribly played SuperBowl a couple of weeks ago (I mean…was anyone excited other than Seahawks? So dull). Anyway, the game took place in NJ so I decided to stay home as a way to avoid any crazy football traffic. I may like being social, but my distaste for rough commutes wins out every time. 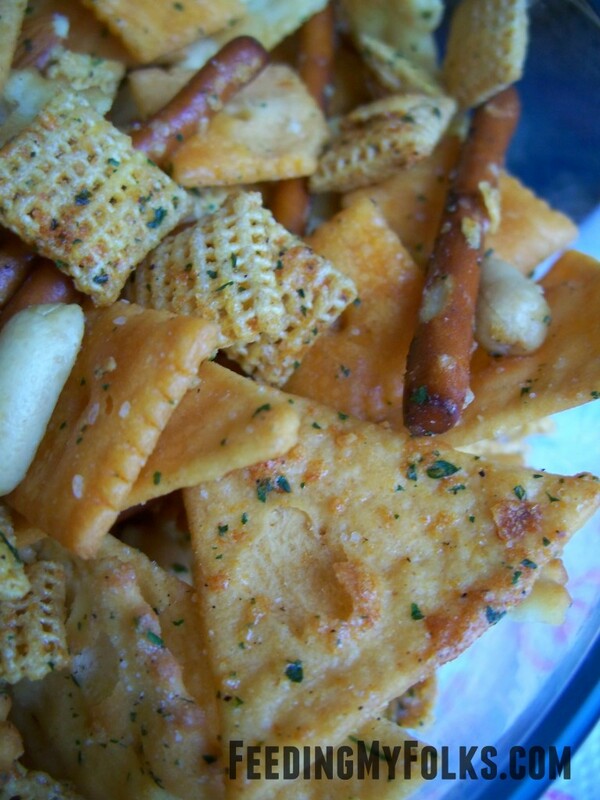 With some extra time on my hands I made my own party mix! I’ve done it a few times before (heyyy classic Chex Mix), but this was the first time I used ranch seasoning. So yeah…I tossed some crunchy snacks with the spices mixed in butter. 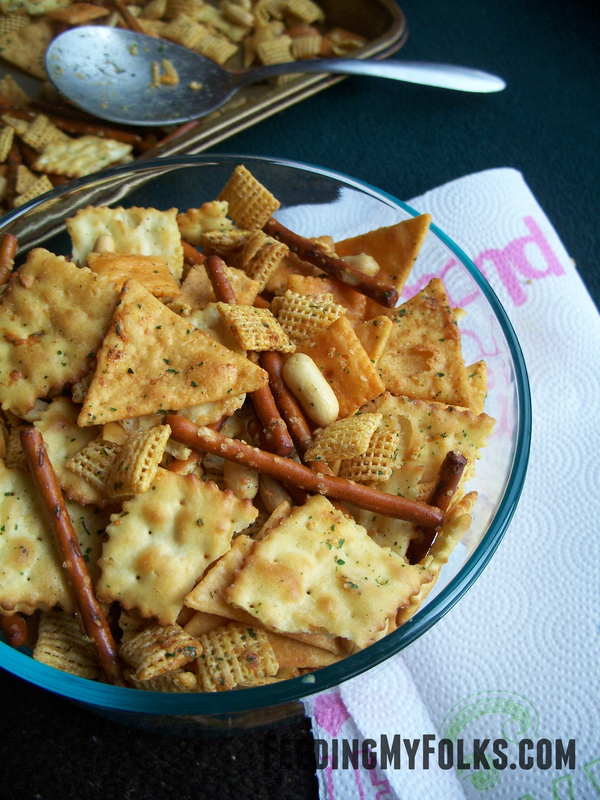 After baking low and slow, the result is a delicious homemade party mix. Boom. Preheat over to 250 degrees Fahrenheit. Add all the snacks/nuts into a large bowl (break some of the larger pieces). Toss the melted butter and oil with the ranch packets. 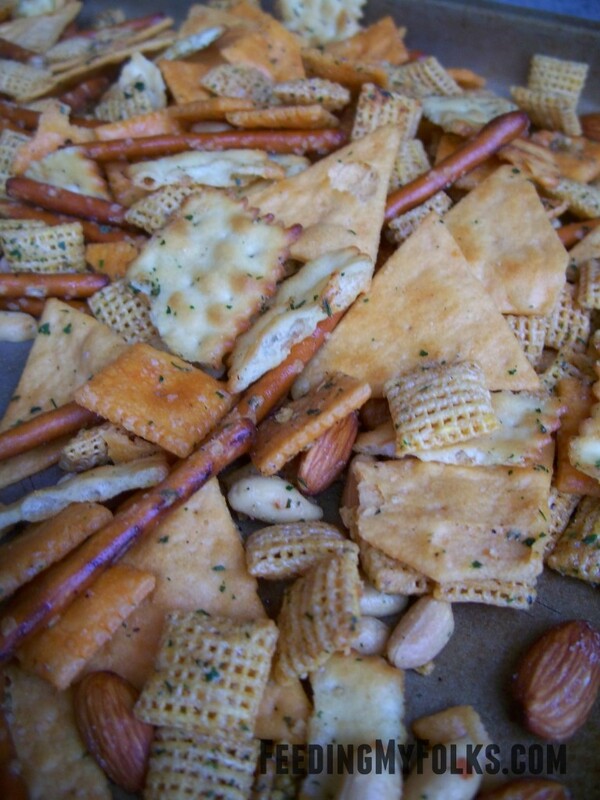 Drizzle over the snacks. Toss until all the pieces are covered in the ranch mixture. Spread onto baking sheets and bake for 30 mins. Stir and bake for 15 minutes more.